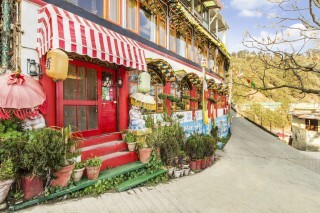 Located 4 km from Sisters Bazaar, this is an offering of a private room in a boutique stay. 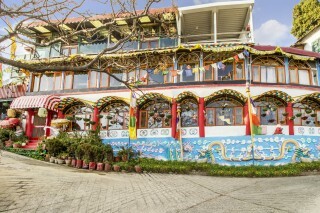 The room on offer can accommodate up to three people and is ideal for travellers who want to reside in a unique accommodation. 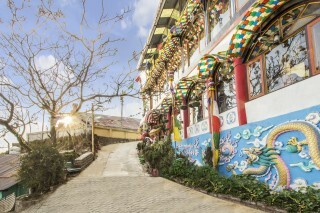 The boutique stay boasts a vibrant and unique façade which reflects traditional Tibetan art and décor scheme. 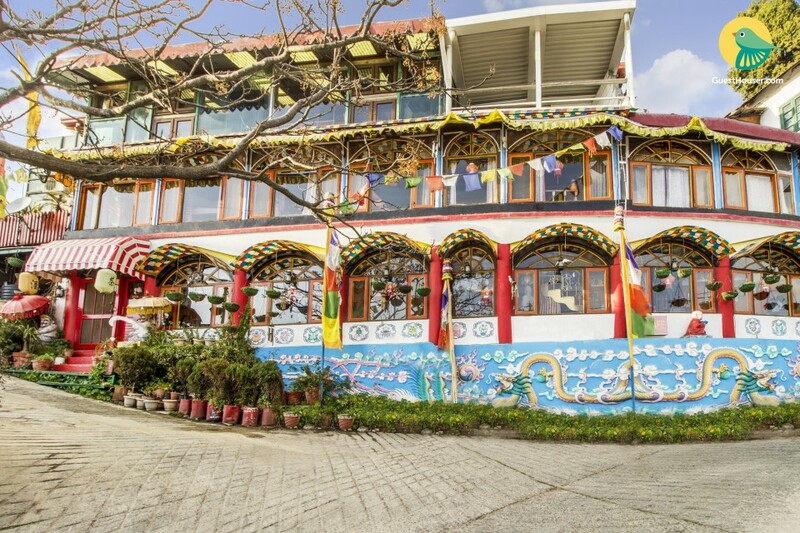 Dotted with potted plants, the exteriors carry images of dragons and colourful awnings with wood-panelled interiors add a touch of authenticity. 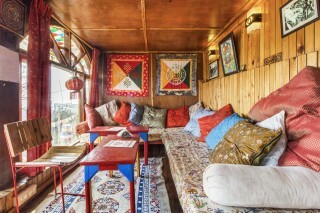 The sitting area is cosy and has an ample seating. 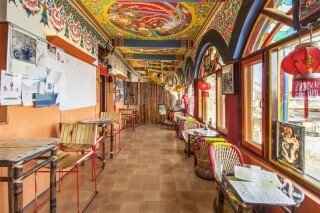 The ceiling of the dining area boasts traditional art done with bright colours and figurines of mythical creatures. 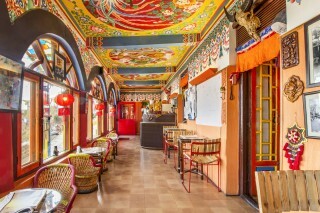 The arched windows are adorned with red lantern which makes for a perfect spot to get a romantic dinner at. 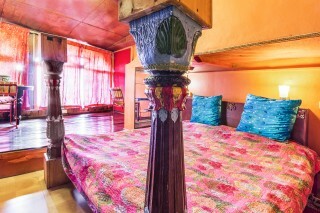 The room on offer has a double bed with two strong pillars painted in cheerful colours. A compact wardrobe, a coffee seating, a wall-mounted mirror, alone with a TV for entertainment are also present. The en suite bathroom is well-appointed with western sanitary ware.